Brands are short hand marketing messages with identifiable representation that create emotional bonds with consumers through a combination of tangible and intangible factors. In a world where every individual is also a media entity, your consumers and their perception of your brand own it (as it always was). 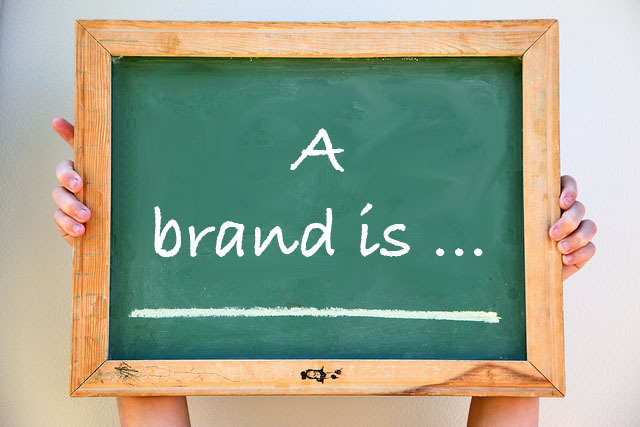 Based on the thirty definitions of branding, here are the twelve main attributes of a brand. Brands have a wide range of uses for businesses, products and individuals in today’s dynamic marketing landscape where publishing and message distribution are no longer limited to media entities. Through the use of social media platforms, every consumer is a publisher and has his own brand to promote. Each brand is competing for time and attention—today’s scarce resources—to break though the message clutter in order to build relationships with their target audience(s). By itself, a brand isn’t a marketing strategy. In their own words, here are thirty (30) branding definitions from marketers and visionary leaders (aka the original Mad Men) to help you understand what branding entails.